Apple kicked off last week’s annual developer conference with the company’s customary keynote address. 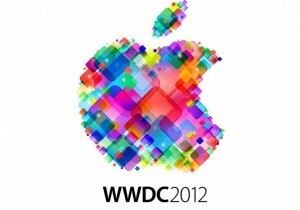 Here is my take on the WWDC presentation’s content. I think the majority of the Apple rumor crowd was caught off guard by the MacBook announcements. The consensus seemed to be that all MacBooks from the Air up to the 15″ MacBook Pro would be receiving Retina Displays. I personally thought this sounded too good to be true. Then, at the last minute, some evidence started to appear that there might actually be just a single new MacBook Pro with a 15″ Retina display. These rumors were mostly discounted, but turned out to be true. I actually believed this when I first saw it, but really thought they would simply call it something like “The New MacBook” in a move to unify the MacBook line in the future. As it turns out, we did get minor updates to the entire MacBook line, except for the 17″ MacBook Pro, which was eliminated and replaced at the high end by the new 15″ Next Generation MacBook Pro with Retina Display. This actually makes a lot of sense. The cost of Retina displays would have required a price increase across the entire line of MacBooks for something most users may not even desire or require. I am much happier with the MacBook Air 11.6″ getting a faster processor and 4GB RAM at the entry level than I would have been with a price increase and a Retina display. It also makes sense to replace the 17″ with this updated 15″ model, since the main reason for a 17″ laptop is for more screen real estate, which is covered by having a Retina display. Again, everyone was caught off guard here. The consensus was updated Mac Pros with Thunderbolt, USB3, latest Xeon chips, and maybe even a new enclosure. What we got was a very modest speed bump without any mention during the keynote. I think most Mac Pro users were very disappointed with this minor update, and begs the question of just what is Apple planning to do for the pro users? Again, expectations were for updated iMacs. This didn’t happen either, but I would not be surprised if they are speed bumped sometime in the next couple of months. I do not expect a radical redesign for the iMac this year and a speed bumped iMac did not warrant any mention at a WWDC keynote. Not much new here that wasn’t already revealed a few months ago. What we do have is a release sometime next month and a price of $19.99 via the Mac App Store for Lion and Snow Leopard users. It looks like Apple really wants as many users as possible to move to Mountain Lion. The biggest and most expected news of the show was the iOS 6 preview. I think probably the worst kept secret of the keynote was the replacement of Google Maps by a new home grown Maps application. This new app looks to be a potential home run for Apple, bringing 3D maps and turn-by-turn directions with Siri integration to iOS. This is exactly what I was hoping to see in iOS 6. Some of the other highlighted features of iOS 6 included new functions for Siri with some level of integration with third-party apps. There will be Facebook integration throughout the OS and within many of the built-in apps, including an API for developers to tap into it. And a new built-in app named Passbook will store things like gift cards, coupons, passes and tickets. The new iOS will be released this fall, presumably around the same time as the new iPhone. There were a few other rumored announcements, most of which were long shots, that did not materialize. There was some speculation that Apple would announce some form of API for app development for the Apple TV to allow developers to get a head start writing apps for the much rumored new HDTV from Apple. Others thought we might actually get a preview of the actual Apple HDTV set. Another often heard rumor that won’t go away is that Apple would release a 7″ iPad Mini. While I still think there is a use case for this product, I did not expect WWDC would be the time or place to unveil it. And we can’t have WWDC without rumors of a new iPhone. Since all of the models prior to the 4s were unveiled here, there were still some people holding out hope Apple would at least pre-announce the new iPhone here. The main reason for this is the speculation of a different screen size and giving developers a head start on making their apps work with the new screen. All-in-all I would say it was a very successful keynote for Apple. They delivered the things that should be delivered at a developer focused event, including solid updates to both their desktop and mobile operating systems. The new MacBook Pro with Retina display is definitely an early adopter type of device that needs support from the developer community, and showing it off here and making it available now makes sense. While many might be disappointed by the lack of other new hardware, like desktop machines, iPads, iPhones or TV’s, stay tuned. I’m sure Apple will have more to say in these areas, just not now and not here at WWDC.